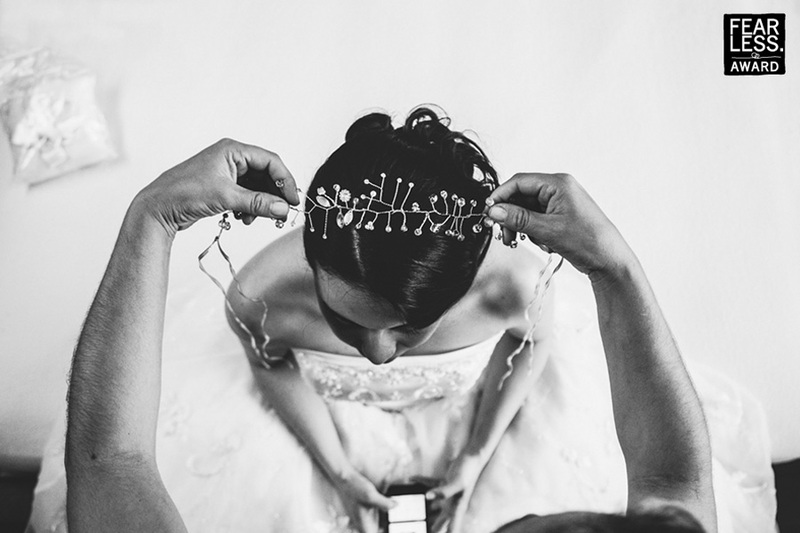 A straight-down camera angle offers a fresh look at the bride's preparations. The interlocking shapes of her hands on her cell phone and the hands of the stylist on the garland form the basis of a strong composition. Allowing her white gown to fade into the white floor helped keep the emphasis on her pretty hair and this delicate aspect of her ornamentation.